American Cherry, also known as Black Cherry, grows in Canada and the USA. 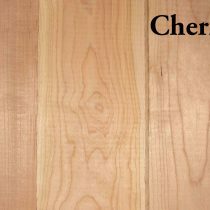 With its beautiful reddish brown color and smooth texture, Cherry is used for furniture and musical instruments. Cherry takes stain well.